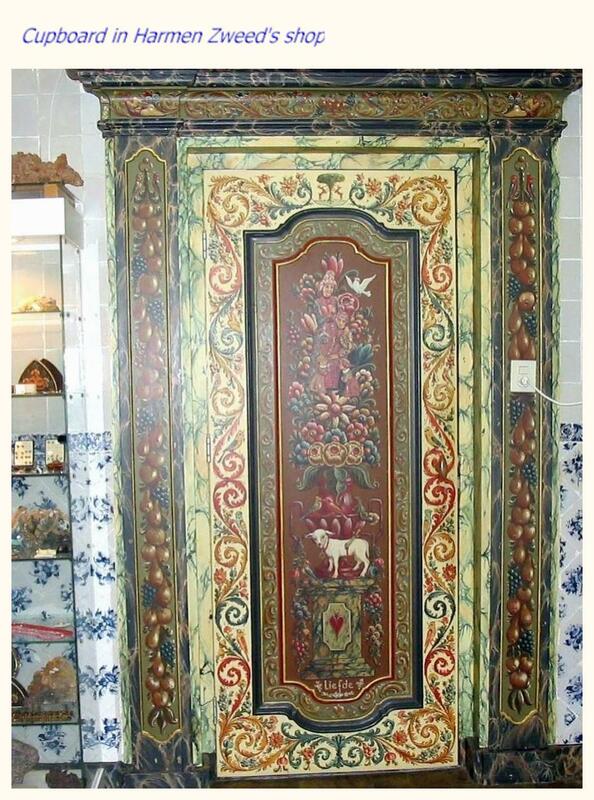 Hindelooper art is a type of traditional decorative painting originated in the northern province of Friesland, The Netherlands. 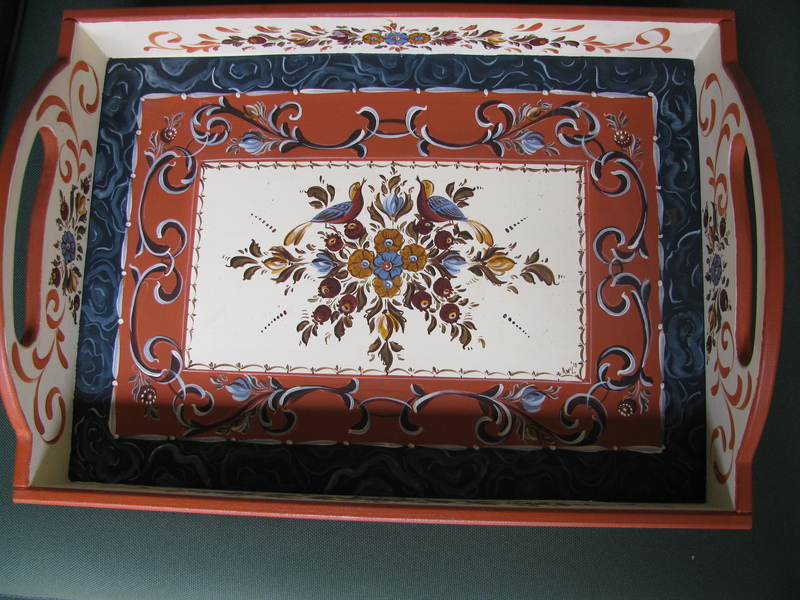 It is a form of folk art painted by the maritime community of Hinderloopen, (a small town on the Zuiderzee). During times of bad weather when there was no fish to sell, sailors/fisherman would turn to painting as a way to pass the time and make some money. 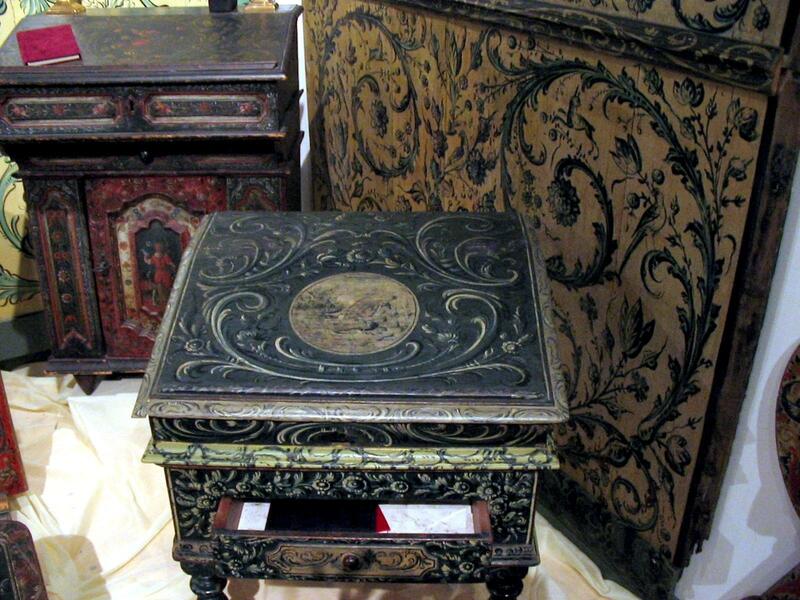 Hindeloopen sailors traded with other Hanseatic league member countries – especially Norway, and often brought home objects painted in other traditional styles that had developed from the Baroque art, primarily Norwegian Rosemaling. 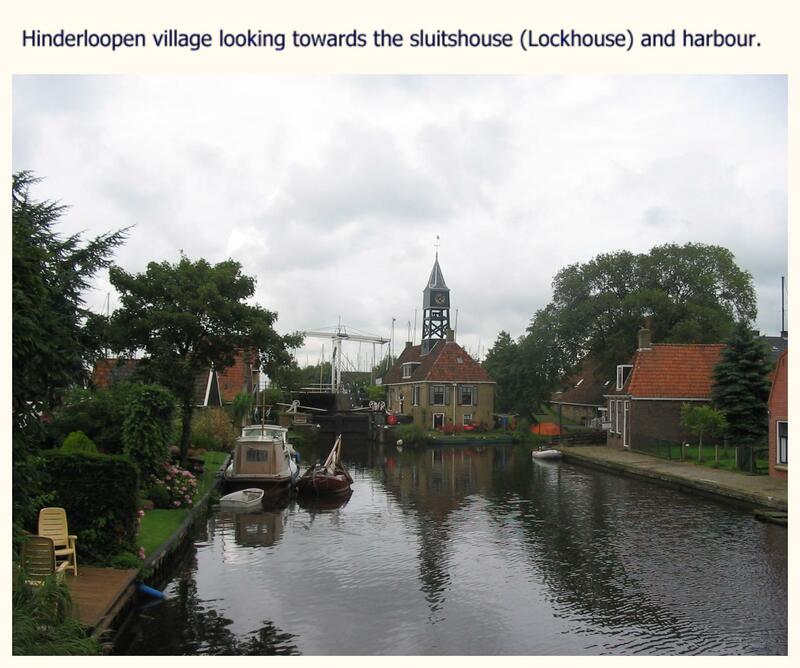 The presence of these styles in the community, in turn, influenced the development of the Hinderlooper’s own village painting, until it evolved into the Hindeloopen art that we see today. The following pieces are my interpretation of Hindeloopen, inspired by the Australian artist, Heleen Van de Haar. I have been painting Hindeloopen style of painting and only recently discovered an old family link to Friesland. NO wonder I was attracted to this elegant and very relaxing style of traditional painting. Traditionally it was the men who did the painting in the village itself, but I so enjoy it. Perhaps the women were so busy with domestic chores they had little time for painting, and it was the men who were stuck ashore in times of bad weather that had time on their hands to create and decorate. Love this wonderful Art and the little Village looks so dear – thank you for sharing. Thanks for visiting, Sandra and it is great to find others interested in this beautiful art form. Do you paint?